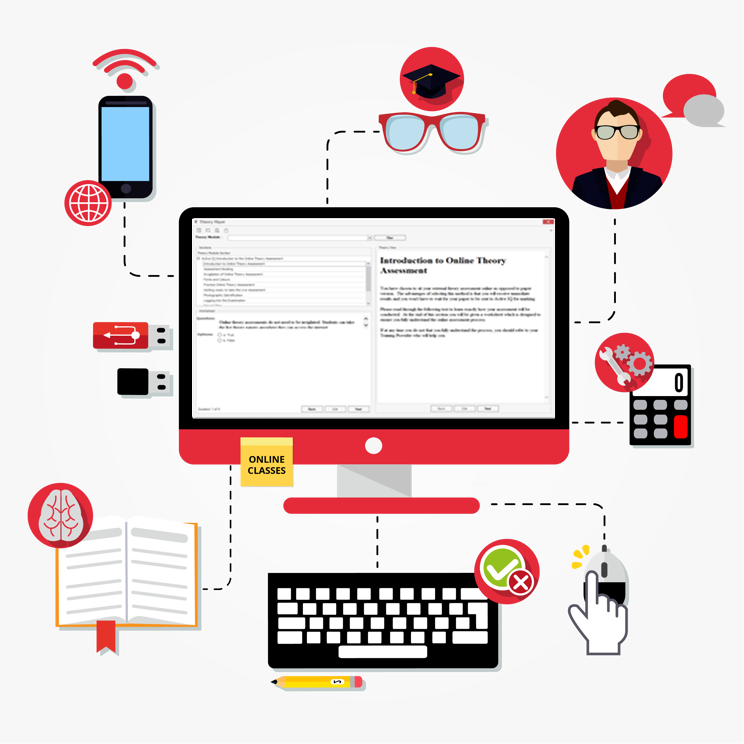 Course creation and management is simple with the eTeacher PRO Content Management System (CMS). Based on SCORM, online theory content can be easily built to meet the requirements of any course structure. Courses within the eTeacher PRO CMS are made up of different types of “modules”. These modules deliver a different part of the learning process. The SCORM methodology has been applied not just to the online theory content, but to all course module types as well, allowing them to be re-used in any number of courses. This greatly reduces course creation time and makes managing course delivery a breeze. Most LMS’s and VLE’s deliver online theory, and that’s it. eTeacher PRO can deliver any content including SCORM compliant assets, text, videos, audio files, animations and more. Each OTM includes fully trackable and recorded worksheets delivered in multiple choice, true/false and word entry formats. As a course administrator, you can see exactly what a learner has accessed and how well they understand the course material. If learners are required to complete a portfolio, eTeacher PRO can provide them with the paperwork and then you can enter results for their work when complete. Once again, learners are automatically notified when results have been entered and their course progress will be automatically updated. Where attendance at an assessment or training day is required, learners can view a list of available dates and book as required. These can then be managed by your support team to produce attendance registers and reports. When results are required, they can be entered into the system and the learner will be immediately notified and their course progress updated. Automatically issue electronic certificates (eCertificates) when certain requirements have been met. Learners can easily access their certificate at any time through the web-based Student Desktop or Mobile App.